You probably have heard the expression that sitting is the new smoking. While that might sound harsh, prolonged sitting and other byproducts of a sedentary lifestyle can include cardiovascular disease, obesity, Type 2 diabetes, and more. 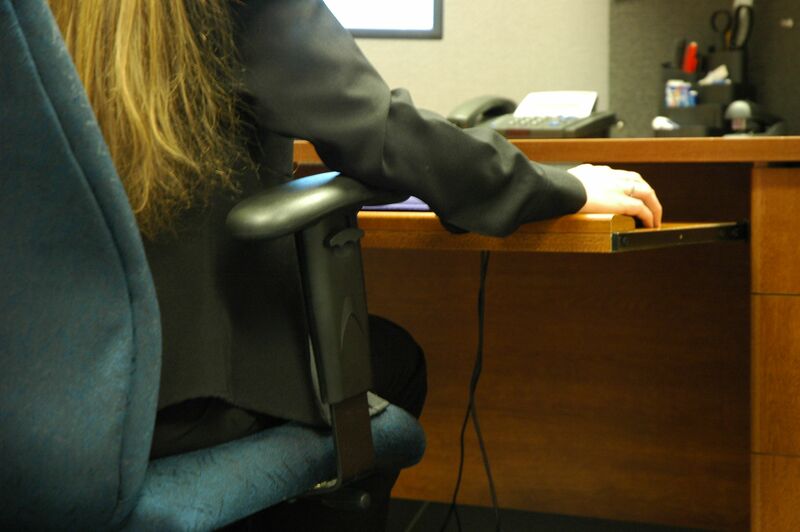 Some studies even suggest that extended periods of sitting can be linked with a higher risk of many forms of cancer. If you work at a desk, Dr. Dwyer recommends standing at least every 90 minutes, preferably once per hour and do a brief movement/stretching routine. Simple movements of the spine in all planes, a few squats and a hamstring stretch will go a long way to help. Take a short walk during your break, even if it’s a stroll to the lunch room/cafeteria to eat your lunch rather than doing so at your desk. Dr. Dwyer also advises desk workers to get in a 30-minute walk per day, before work, at lunch or after work. For those with Fitbits, make 10,000 steps per day. Beyond exercise, Dr. Dwyer recommends making adjustments in your work habits as well.